This topic contains 1 reply, has 2 voices, and was last updated by Antoniodox 2 years, 1 month ago. Well yeah, dat news probably tells us two things. First – we are not dead, yet. And second – we were REALLY trying to work on something for last couple of months. 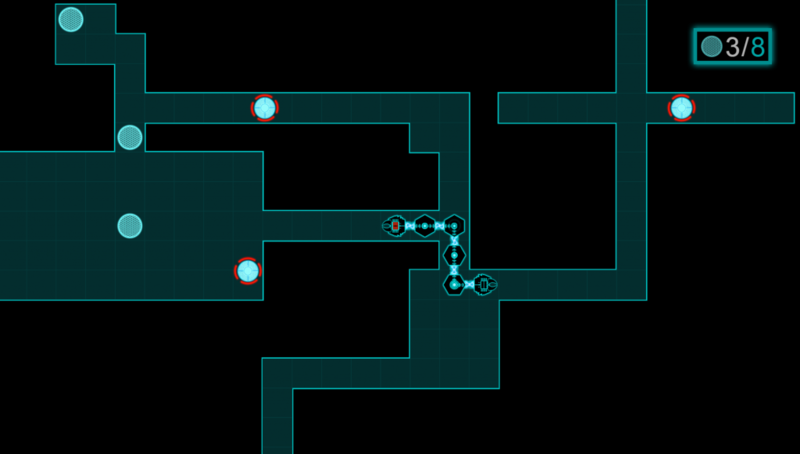 So… As you may guess, we call our new project BYTE – it’s a 2D top-down stealth-puzzle game, where player controls a sneaky cyber-worm performing some malicious deeds in the network of the near future. Main gameplay may kinda remind of “Snake” from your old Nokia phone, but who cares: every time you steal valuable data, your cyber-worm is getting longer, which makes it harder to control and evade anti-viruses. Throughout the game you will be able to upgrade your worm in both passive (+% to moving speed, downloading, etc.) and active (adding jaws, that help you break ICE, for example) ways. 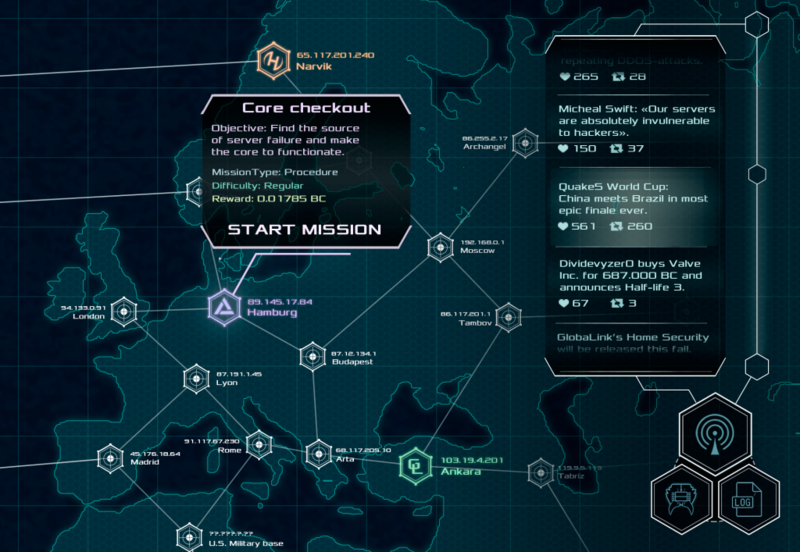 The game itself is not just a sequence of levels, by the way – there is a web map, where you can choose your next run, examine stolen stuff, read newsfeed and more. The plot is revolving about mysterious and powerful web virus, capable to down modern, heavy internet-dependent world, on its knees. Player acts as an anonymous hacker, making his own way through the non-linear story. Ah, almost forgot – the game will be playable on Windows, OS X and Linux somewhere in early 2016. Next. We start BYTE devlog on TIGsource. Hope to update it regularly, as well as post news here. And the last, but not least – there is something for you to see! Right here hides little playable prototype, showing off the very basics of gameplay in our upcoming game. Feel free to drop-off your thoughts over the project thread on TIGsource or in our trollum. Phew… Okay folks, I guess that’s enough for a humble announcement. Stay tuned. Transport Repairs and Auto Insurance Espy tips on getting your automobile repaired and getting motor insurance. Driving Safely Profit by these tips to keep yourself and your one’s nearest protected while driving. Curious Nationals Driving in the U.S. Bring back low-down on renting a car and vital documents needed while driving in the U.S. Gas Prices and Alternative Fuels Unearth out approximately the amount of gas and where to find substitute fuels. Motor Vehicle Services Learn how to get or renew your driver’s validate, register your car, or access other motor channel services.